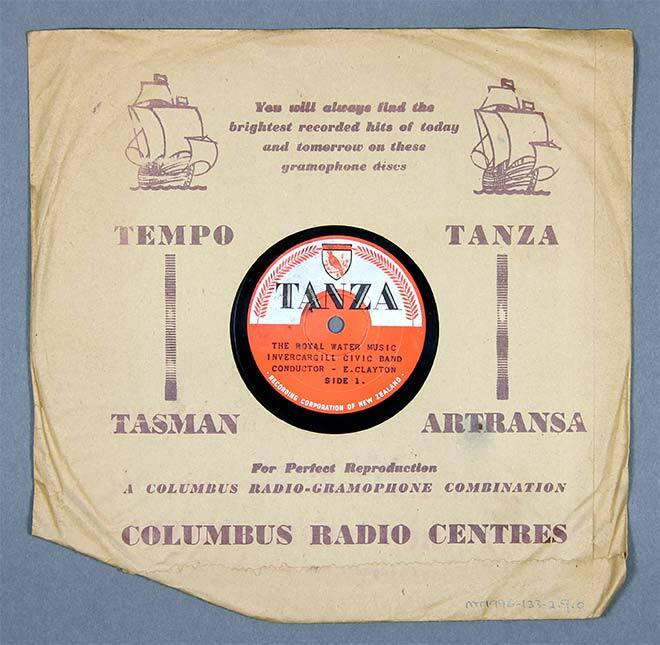 Wellington-based radio manufacturer Radio Corporation launched its own record label, TANZA, in 1948. TANZA's mission was summed up in its name, which is an acronym for 'to assist New Zealand artists'. Aside from early recordings made in Rotorua in 1930, New Zealand recordings had been limited to advertising jingles and discs of live recordings, which had a very short shelf life. This is the Invercargill Civic Band performing 'The Royal Water Music'.